Shaping the future of hospitals. 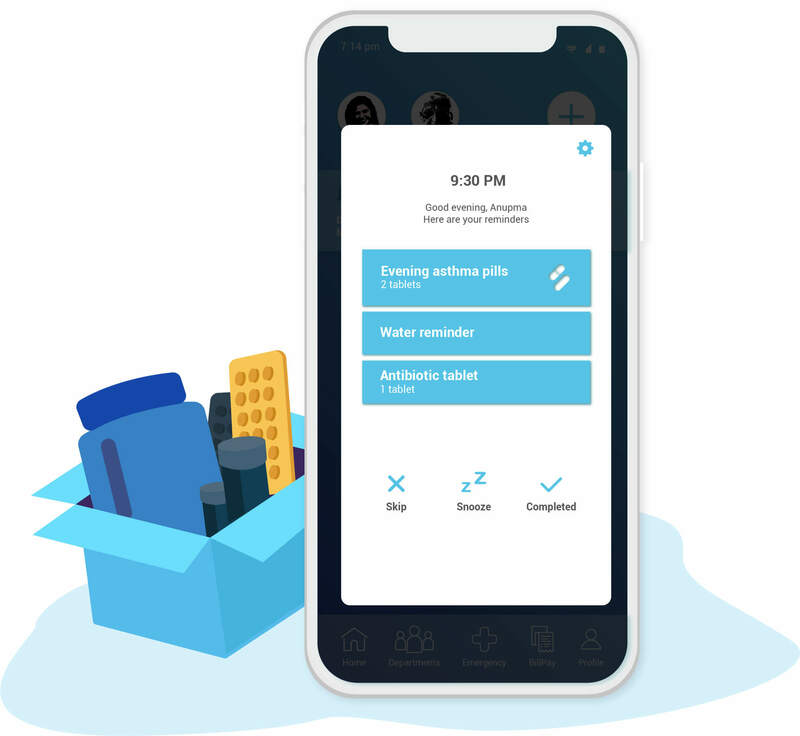 We've upped the ante hospitals by devising a smarter and easy to use application that has all the medical features you will ever need. Experience a truly hassle-free health care! No waiting. No queues. No formalities. We mapped the entire healthcare industry from yoga to insurance to understand the various pain points for the users. Follow us on a journey of a lifetime as we create the future of healthcare. Health care is at the pivot of humankind’s success. 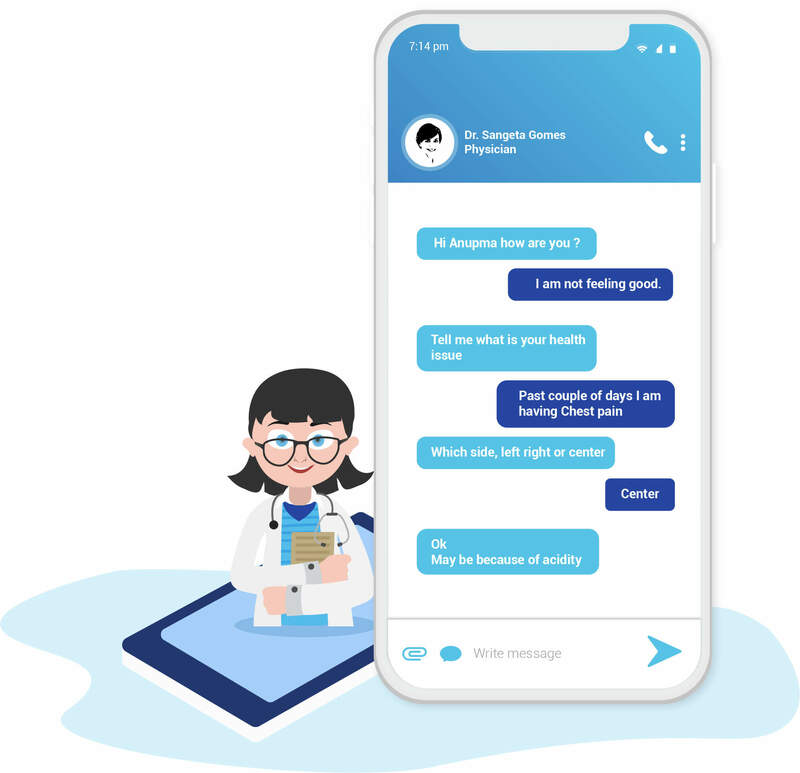 From state of the art hospitals to neighbourhood clinic, every medical institute needs a helping app to help them reach out to everyone at any time of the day. 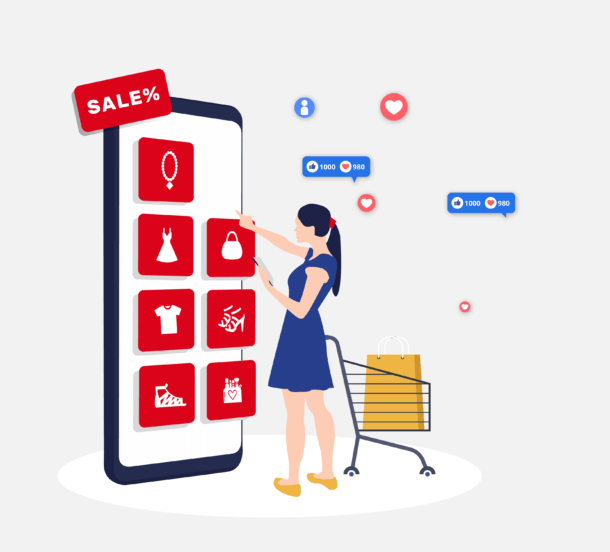 Indicated that 52% people would prefer receiving prescriptions and insurance related information on their smartphones. 33% doctors use their smartphones to advise a prescription. The global mHealth solutions market is expected to grow at a CAGR of 33.7% to USD 90.49 billion by 2022 from USD 21.17 Billion in 2017. 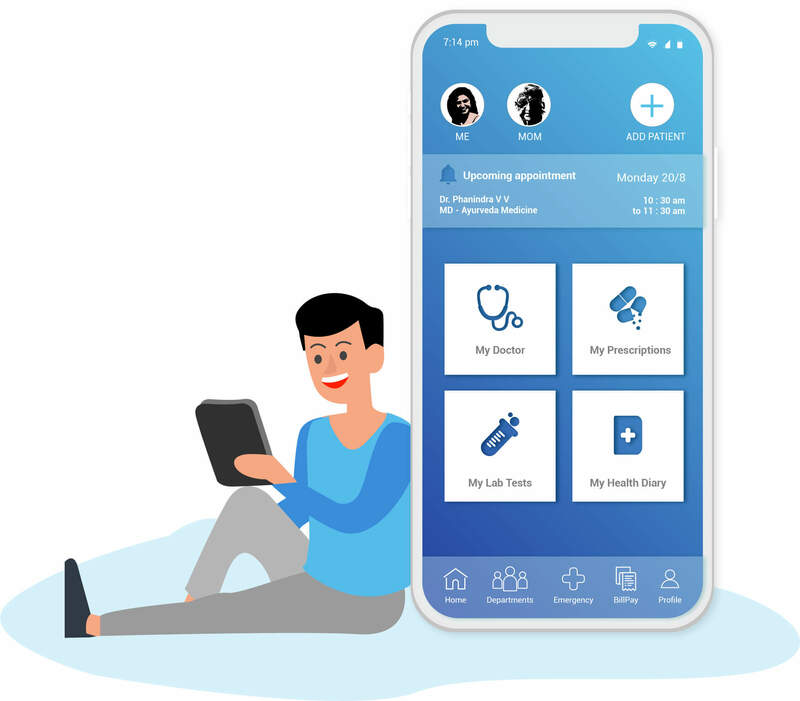 Monitor and improve your health with the smartest health care app in the world! Your appointment is just a tap away on the app. Schedule, modify or cancel appointments effortlessly using the app. Get access to a wide pool of doctors at your disposal anytime of the day. Share reports, ask questions, discuss symptoms, and rest easy. Never miss a dose of medicine again with in-app reminders and alerts. Customize your alerts, snooze reminders and track all your pill intakes. 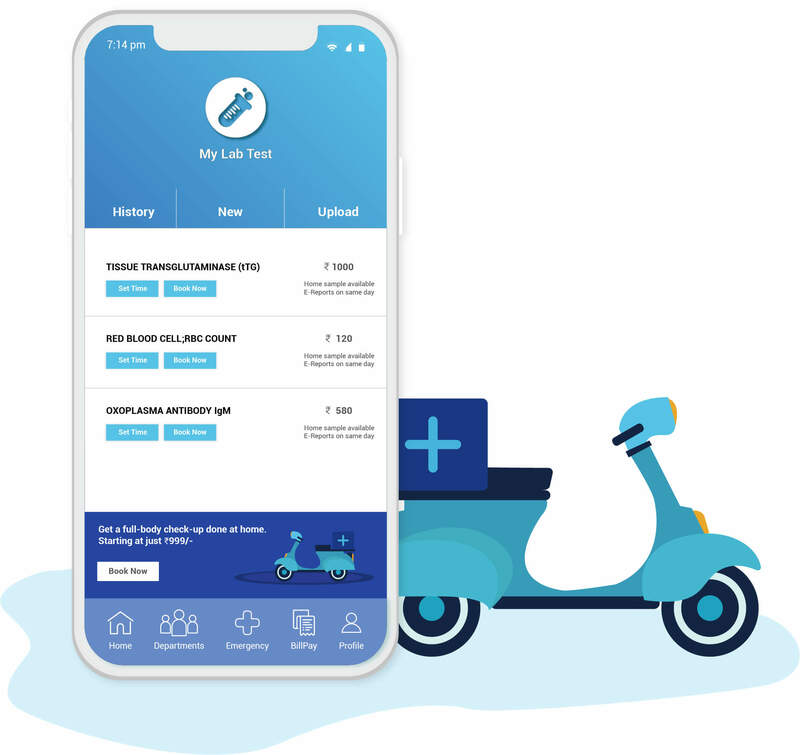 Use your app to schedule check-ups and medical tests at your convenience. Access your medical reports quickly using the app and forward it to the docs. Skip the waiting. 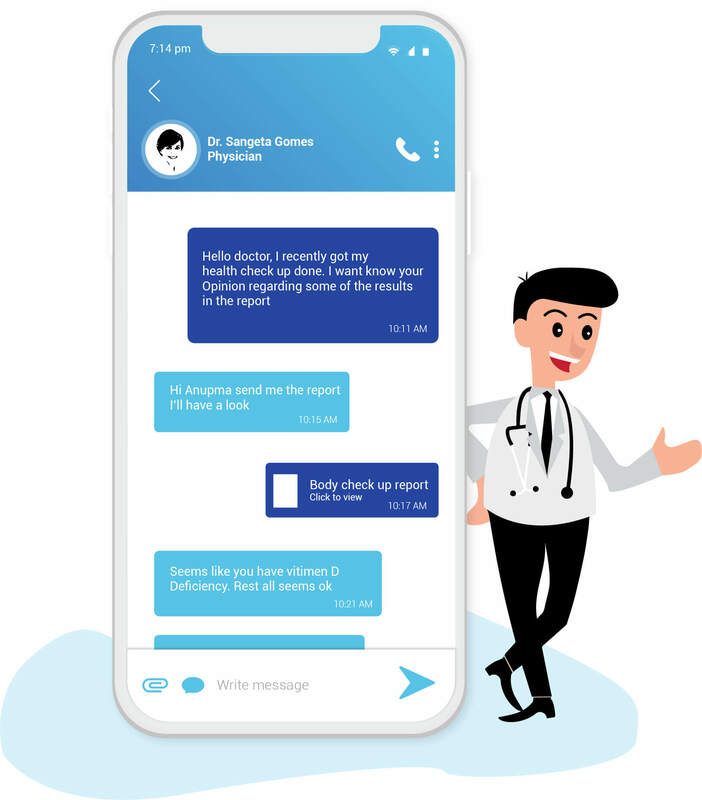 Connect to certified doctors, therapists, psychologists, and consultants in seconds. Always have a trusted doc at your disposal from the comfort of your home. Get access to the best of the app’s features even without an app. 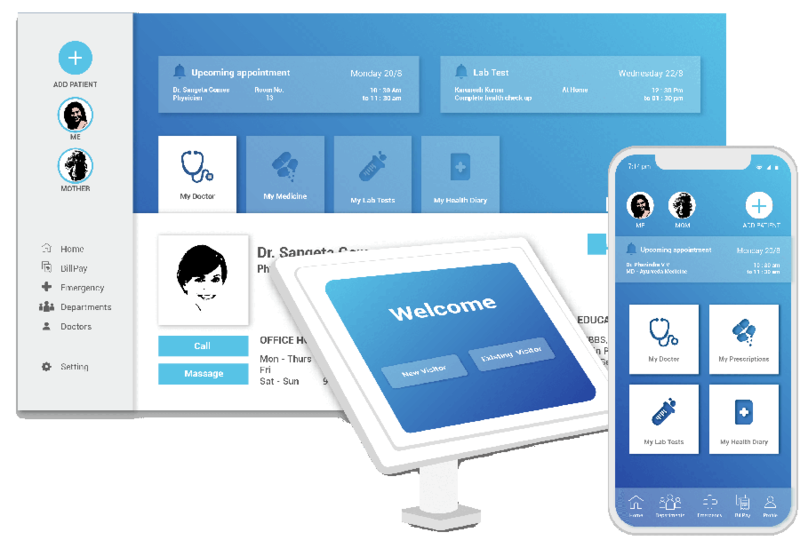 Walk in to the nearest hospital and use our kiosks to schedule appointments and use all the other helpful features of the app.